As if our excitements levels weren't already peaking, one man goes and sends our hype nuclear with a working TIE fighter. 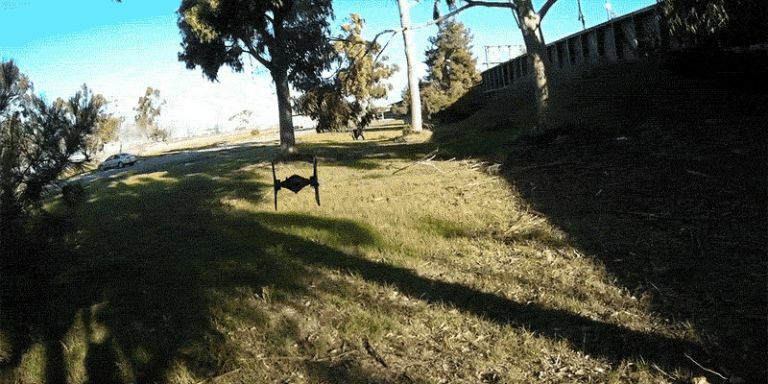 Okay, technically it can't fire green lasers or chase down Rebel scum but this re-purposed drone can still take to the skies and look all kinds of awesome. • The best drones you personally can fly can be found HERE. The homemade design, which was uploaded to Imgur by clandestine user woodpiece, uses parts recreated using a 3D printer, the motor and wiring from an unknown make of quad-copter and an actual First Order Special Forces TIE Fighter from Hasbro. You know, the rad looking new black and red design that features in The Force Awakens. He's even put together a tutorial to show how me put it all together. This isn't the first time we've seen a flying Imperial dogfighter either - back in March, drone enthusiast and craftsman extraordinaire Oliver C unveiled a bespoke TIE interceptor (pictured above) built using the engine from his self-built 'Prophecy 335' quad-copter. He even built a Millennium Falcon, months before Air Hogs unveiled its official version.